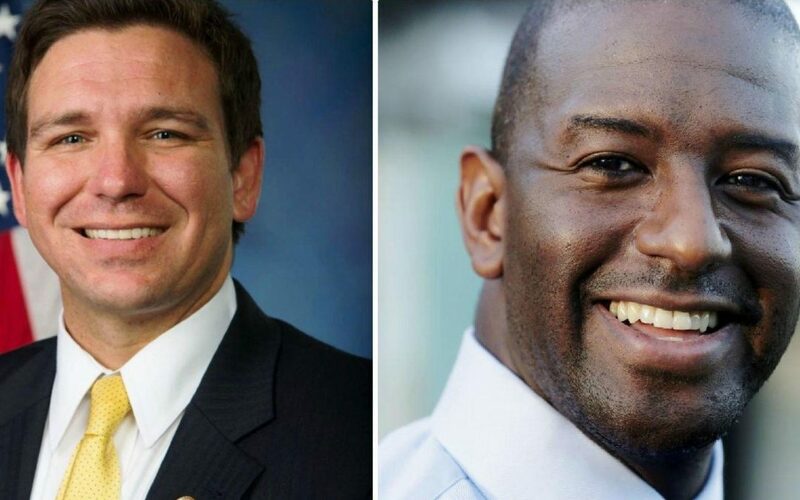 In the contest for Florida governor, race dominates the race. Whether measured by rhetoric, tactics or strategy, the campaign between Republican Ron DeSantis and Democrat Andrew Gillum is shot through with racial politics, putting the nation’s rawest and most sensitive issue at the center of one of the hardest-fought elections of the year. The clash, judging by the candidates’ bios, seemed inevitable. Gillum, Tallahassee’s mayor, is the Florida Democratic Party’s first African-American nominee for governor and its most liberal. He is the first statewide black candidate who refused to shy away from talking about race, accusing DeSantis of everything from using racist code words to giving so much “harbor” to racists that they think he’s one of them.